During my search for an academic library position, I relied heavily on others for support. Navigating internships, phone interviews, and job talks can be tricky, but having a variety of sources that I could turn to for advice greatly helped. Career centers. Your school’s career center is an obvious first stop. It can be useful to learn if the center’s staffers have certain specialties. For example, someone may be well versed in interview preparation, while another person may be better suited to guide you through salary negotiation. Your professors and classmates may have suggestions about who to meet in your career center, but it also doesn’t hurt to go in and ask. Professional organizations. I’ve participated in mentoring programs offered by both the Association of College and Research Libraries and the Asian Pacific American Librarians Association, and these relationships have been beneficial to my search. The great thing about participating in a formal mentorship program is that your assigned advisor signed up because he or she wants to be there. As someone who worries about inconveniencing others, this made me feel comfortable reaching out as questions arose. I recommend looking into professional organizations that personally interest you and seeing what they have to offer. Librarians. 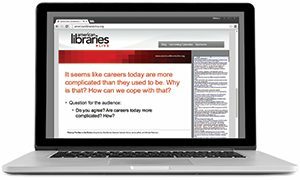 Current librarians are generally excited to see new people entering the profession and are willing to have conversations about what the landscape looks like and how they landed their jobs. It was valuable for me to cultivate relationships with librarians of varying levels of experience and points of view. Learn if your career center’s staffers have certain specialties, like interview preparation or salary negotiation. 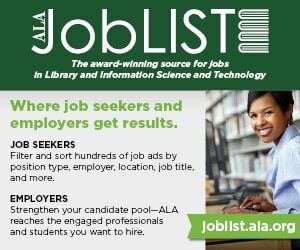 Well-established librarians have a good sense of the history of the profession and the important things to look for in a job. My boss, for example, suggested I attend the Association for Asian Studies conference, where I found my summer internship. Her knowledge is very subject-based and luckily aligns with my own interests. 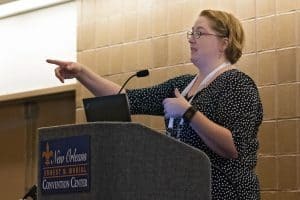 Since I’m trying to cultivate skills across the board, discussions with instruction librarians and scholarly communications librarians have also been helpful. However, don’t overlook librarians who—like you—are just starting out. These are the people who can provide on-the-ground advice because they have recently been there themselves. Professors. They’re a vital resource, as they see many students go through your program and can speak from that experience. I have used office hours as a time to bring up librarianship questions that weren’t directly related to the instructor’s class. As with librarians, it’s important to keep in mind where professors might be coming from. Maybe they’ve worked in libraries for a long time and only recently switched to academia. Maybe they’re more of a theorist and can offer insights on how the field is changing. Maybe their research on community archives can help you sort through your thoughts on diversity in collections. Know what you hope to get out of the conversation, and don’t feel bad about talking to more than one of your professors. Twitter. If you’re into social media, Twitter can be a handy tool to connect with librarians who are doing interesting things and might not be in your geographic area. I follow many librarians just to keep tabs on developing issues and learn how librarians talk to one another. I’ve attended a few Twitter chats that have been especially worthwhile for the job search process, the most recent being one hosted by #LISprochat. 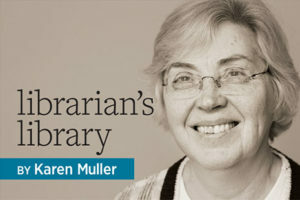 It’s important to keep in mind that librarianship has changed a lot over the years—so it’s important to get multiple perspectives. This column was excerpted from “Getting Advice,” which first appeared on Hack Library School on April 24. 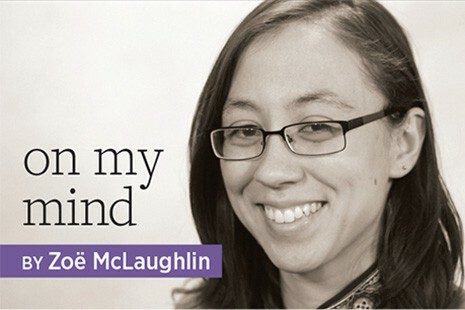 ZOË MCLAUGHLIN is a resident librarian at Michigan State University in East Lansing, working on South and Southeast Asian studies and accessibility. Find her on Twitter @zomanjii.